We’re back with another episode of FAQ Friday! 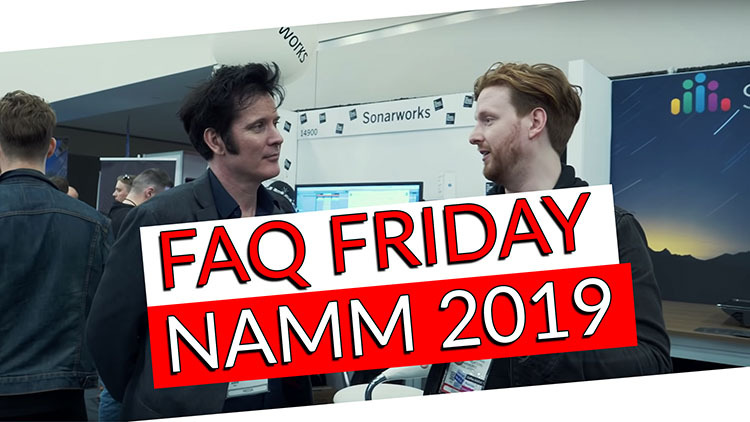 We are going to do a slightly different FAQ Friday today since we’re at NAMM! We’re going to ask questions to different manufacturers, producers, and engineers that we meet throughout the day! It would have to be the 1176. It’s my favorite piece of gear but, my Hammond C3 is totally unique. It has a Bill Myers keyboard modification on it- he never told anyone what he did so there are all these canisters inside the C3 and they have crazy overtones you can dial in, and it’s a lost thing which makes its a rare piece of gear. I also have an Epiphone Casino guitar from 1972 its right near the same serial number as Paul McCartney’s Epiphone! You just plug in that guitar and it sounds like the Beatles, and it plays really good. But yeah I just really like my 1176 something about it sounds like a record. We cover the following questions during this episode of FAQ Friday!